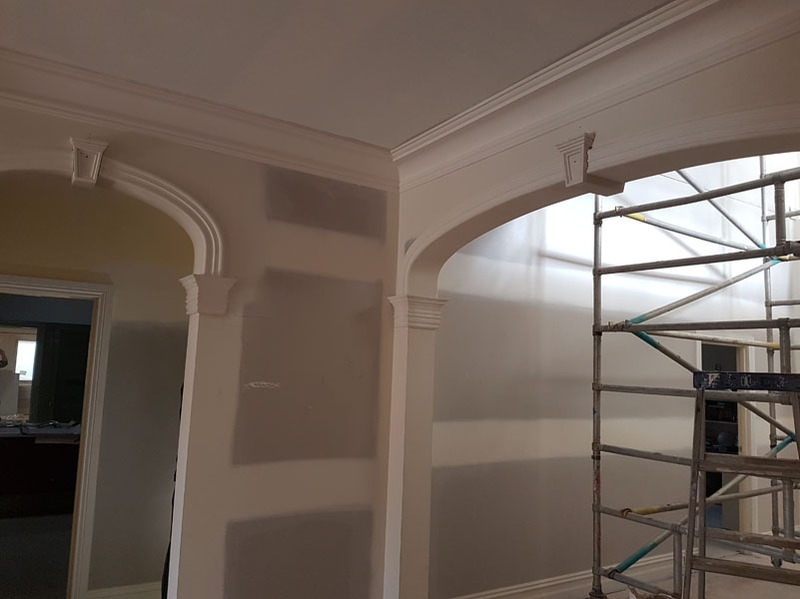 Owners requested CHAD Group Australia to provide metal battens, plasterboard, decorative cornices & strap work, ceiling panels & roses and decorative arches (4). These were installed to complement and existing art deco residence which had been renovated and extended. 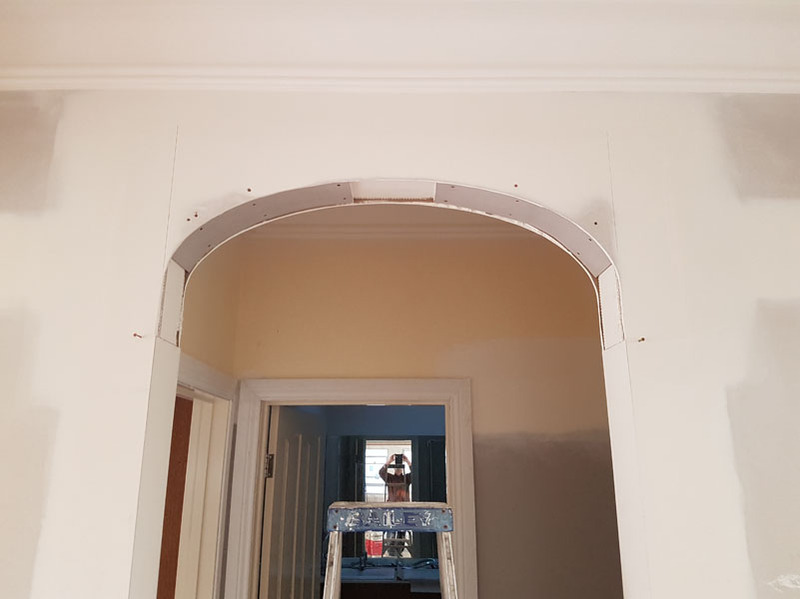 Our brief included matching existing decorative cornices & strap work from the living room to the studio room and to provide uniform patterns to decorative ceiling profiles from study to bedroom 2,3 & 4. 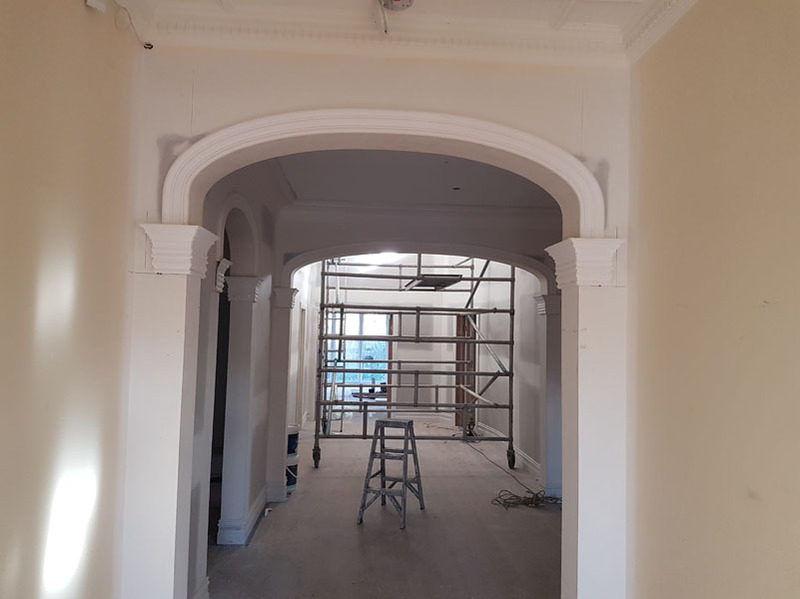 Copies of existing cornices, straps & ceiling panels were done & manufactured to provide uniformity as requested. Existing decorative cornices & straps were removed and replaced as required for matching & uniformity. 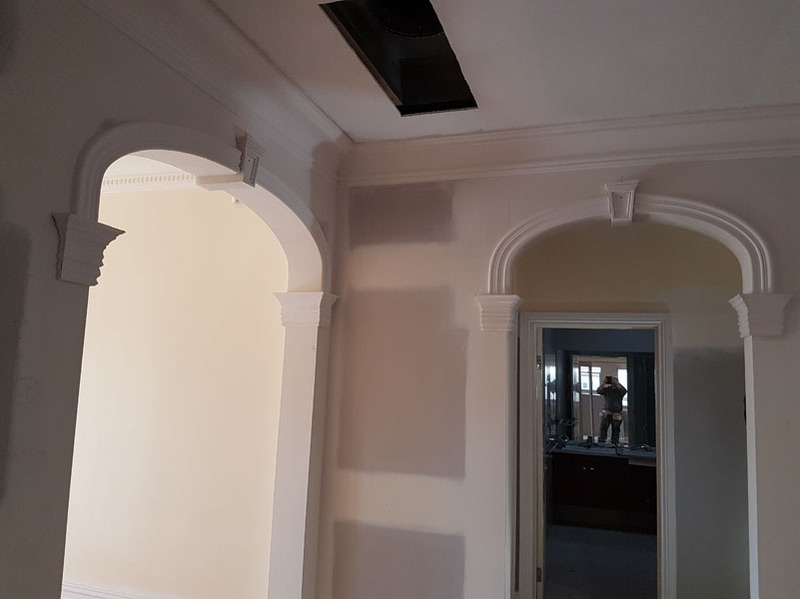 Restoration of existing ceilings was completed in existing rooms. 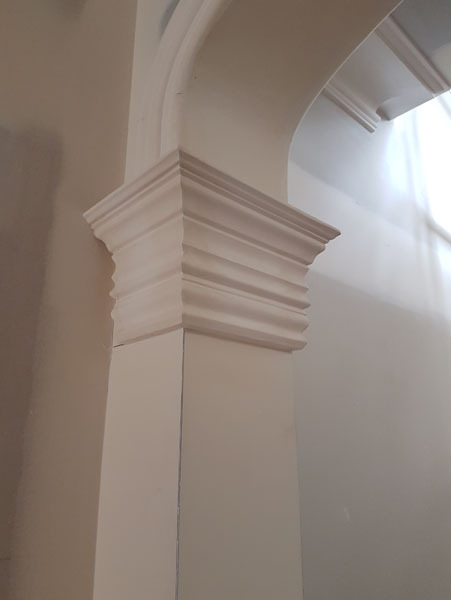 Several arch profiles were drafted and templates provided for the owners selection and approval, including various cornices provided for the selection of corbel cornice caps. Sound insulation including wavebar barrier was provided to studio room. Including high density insulation batts to external and internal walls of new extension upstairs. Skylight cornice profiles were chosen and provided to enhance supporting beams for heavy light pendants. 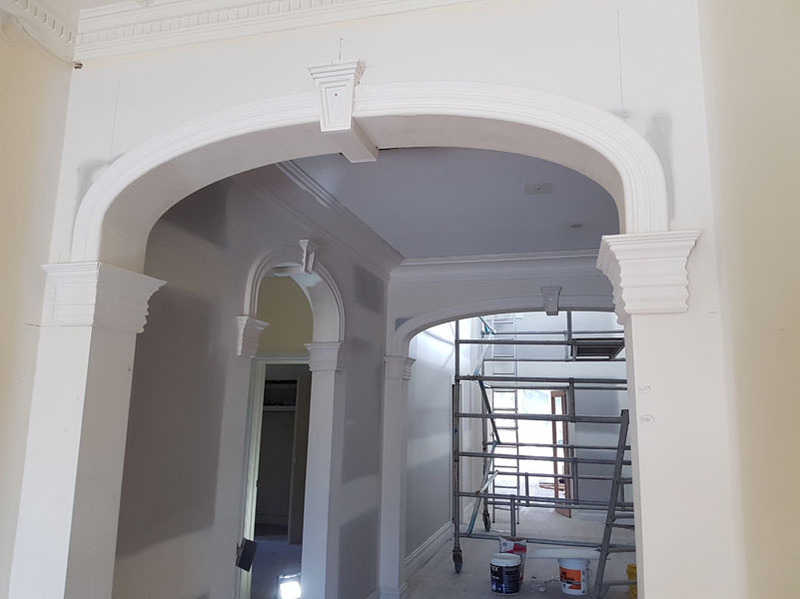 Upstairs cornices chosen to complement downstairs cornice selection. 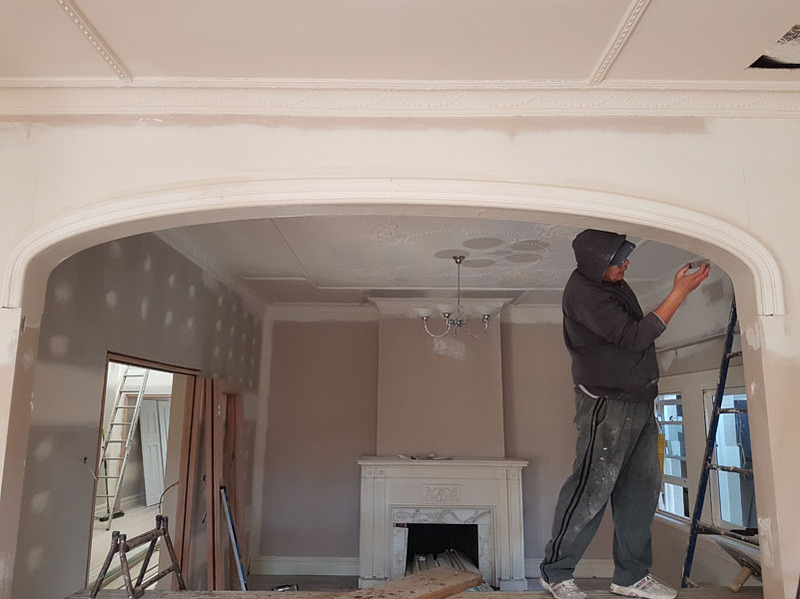 Clients had done extensive research into period home plaster decoration and provided an extensive and detailed brief. 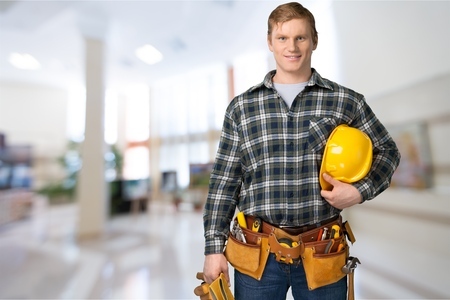 Substantial amount of time was requested by client and builder to ensure work was carried out to instructions and negotiation allowed to change the brief were required. 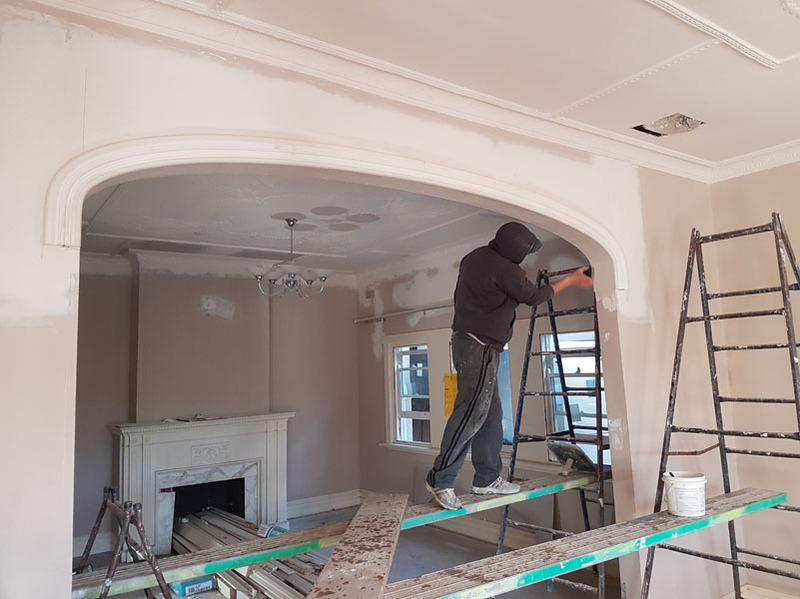 Some choices of cornices, straps, centre panels (roses) were no longer available and copies were made on site and mouldings manufactured to match existing. 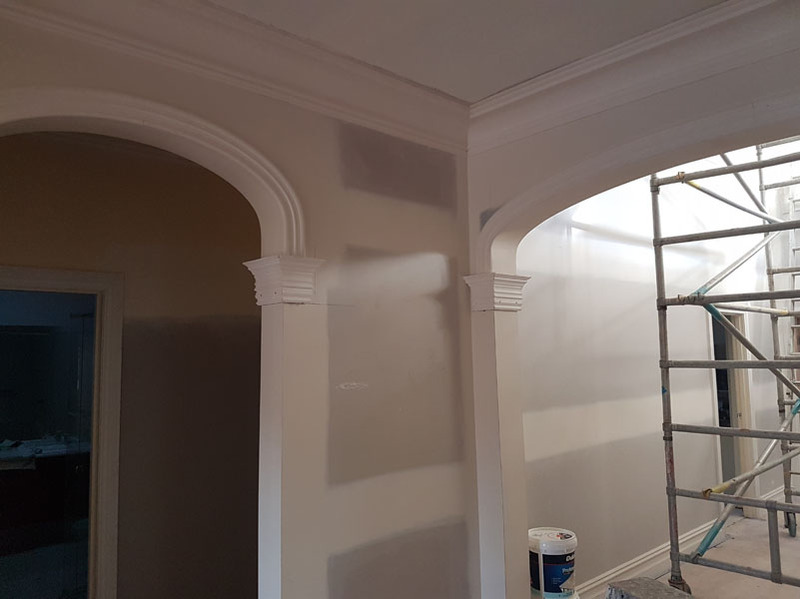 Work was staged to allow for decorative mouldings to be manufactured & delivered. Including arches when final profiles were chosen by clients.